The Global Volcanism Program has no activity reports for Silali. The Global Volcanism Program has no Weekly Reports available for Silali. The Global Volcanism Program has no Bulletin Reports available for Silali. 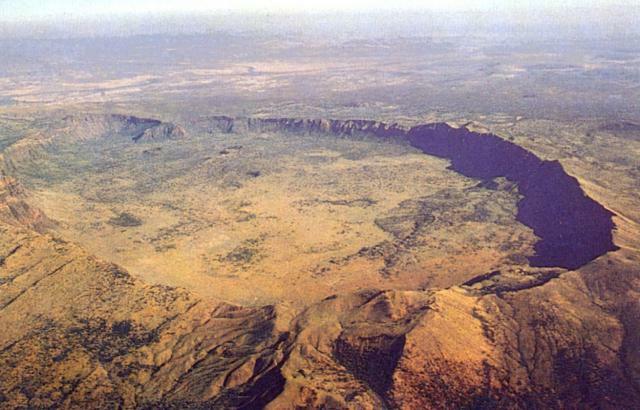 The 30-km-wide Silali trachytic shield volcano, the largest Quaternary volcano in the northern Gregory Rift, completely straddles the East African Rift. An impressive 5 x 8 km summit caldera with 300 m deep walls is thought to have formed about 63,000 years ago. Caldera formation is thought to have been incremental, related to eruption of the Kantenmening basaltic and trachytic lava flows. A series of summit-area lava benches formed by eruptions from circumferential fissures has produced a volcano morphologically similar to Galapagos Islands volcanoes. The N, E, and S flanks are cut by a prominent broad rift zone 10 km wide and 30 km long, dotted with numerous pyroclastic cones. Lava domes on the upper E flank formed during the late Pleistocene and early Holocene, until about 7 ka. Youthful parasitic cones abound on the caldera floor and on the N and NE flanks; the youngest lava flows may be little more than a few hundred years old (Williams et al. 1984). Geothermal activity occurs within the caldera and on the upper E flanks. Key R M, 1987. Geology of the Maralal area. Rpt Mines Geol Dept Kenya, 105: 1-93. Macdonald R, Davies G R, Upton B G, Dunkley P N, Smith M, Leat P T, 1995. Petrogenesis of Silali volcano, Gregory Rift, Kenya. J Geol Soc London, 152: 703-720. Smith M, Dunkley P N, Deino A, Williams L A J, McCall G J H, 1995. Geochronology, stratigraphy and structural evolution of Silali volcano, Gregory Rift, Kenya. J Geol Soc London, 152: 297-310. Williams L A J, 1970. The volcanics of the Gregory Rift Valley, East Africa. Bull Volcanol, 34: 439-465. There is no Deformation History data available for Silali. There is no Emissions History data available for Silali. The impressive 5 x 8 km summit caldera of Silali volcano is seen in an aerial view from the SE. Formation of the 300-m-deep caldera is related to the incremental eruption of basaltic and trachytic lava flows about 63,000 years ago. N-S-trending rift valley faults cutting across the volcano can be seen at the lower left. Some of the youthful parasitic cones on the caldera floor and flanks of Silali, the largest volcano of the northern Gregory Rift, may be little more than a few hundred years old. There are no samples for Silali in the Smithsonian's NMNH Department of Mineral Sciences Rock and Ore collection. Large Eruptions of Silali Information about large Quaternary eruptions (VEI >= 4) is cataloged in the Large Magnitude Explosive Volcanic Eruptions (LaMEVE) database of the Volcano Global Risk Identification and Analysis Project (VOGRIPA).